Time for some throwback vibes! 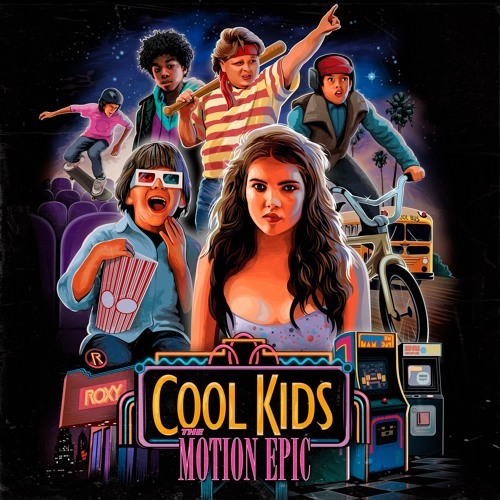 The Motion Epic, the synth-pop/retrowave project by singer-songwriter and multi-instrumentalist, Pat DiMeo and Producer Dre K of Kingsway Studios, have just unveiled their brand new single Cool Kids. These guys to explore the 80's synth-pop atmosphere that will get many of us reminiscing about the good old days. Once again they excel at delivering impeccable synth lines and punchy percussion that makes Cool Kids the perfect track to add to a soundtrack to an 80s film. Loving the way Pat's vocals flow over the electronic production and that sax solo really gave the song a cool touch. Stream it below! This song was written for all the risk takes and the dream makers - the kid that lives deep inside of us. I wrote this song while reminiscing of my childhood and how I always wished I had grown up in California; being a Canadian boy searching for the American dream. I am very proud of this track as it turned out to sound exactly how I envisioned it. Dreamy, soft and synth driven. I want the listener to feel as if this song were a title track in a soundtrack to a film from the 1980s.